Introuduced into New Zealand by Penn agents Thompson Walker Ltd in the late 1990s. The Penn International 975 arrived just a little too late for the last of the South island’s huge salmon boom years. Consequently sales to salmon anglers of the 975 were not as high as some other makes of baitcaster. I was lucky enough to get my hands on one of the first Penn International 975s to test run for a season or two. Penn don’t introduce new models very often so when they do you know it will be built to last. Its possible to get spare parts for virtually every Penn reel ever made. 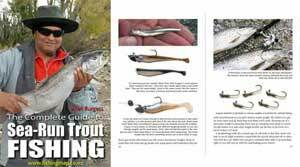 An important consideration when buying a reel for salmon angling as the constant casting and retrieving puts a lot of stress on this important item of tackle. This a quality baitcaster with a one piece forged and machined aluminium frame. The left side plate is also forged and machined aluminium. The spool and right side plate are machined from solid bar stock aluminium. The main and pinion gears are machined stainless steel. The Penn International 975 that I have features a soft grip double or “paddle handle” pictured below. This is my preferred option for salmon fishing. The centrifugal casting control in the Penn International 975 works very well. Casting is as you might expect smooth and effortless. Specs: Sealed over-size HT-100 drag system. Corrosion resistant gold anodised frame, spool and side plates, 2 x sealed stainless steel ball bearings plus a third one way rolled bearing. 3 level centrifugal brake casting control. Holds 340/15 yards/lbs, gear ratio 4.75:1 Weight 15oz, Zirconium oxide line guide with titanium nitride coating. A one way roller bearing provides “infinite anti-reverse” for solid hook sets and smooth performance. There is no handle slop or “kick back” at all. This is a very cool reel to have salmon or no salmon!